In the yesterday night episode of the TV series “Suhani Si Ek Ladki” it has been shown that it is because of the Barbie, Dadi’s hand has been burned as the hot tea fall in her hands. Now Suhani run towards Dadi to apply cream on the Dadi’s hands and then Suhani starts crying then Yuvraaj comes asks her that why she is crying. Soumya did not reveal that Dadi’s hands get burnt in fact; Soumaya says it is Suhani goes emotional as she is right now planning about the family and baby. Yuvraaj looked on Suhani and holds her. Soumya now asks to the Suhani that what you think Dadi will be still impressed with Barbie or will be scolds her now. Suhani said still Dadi will not saying anything to Barbie as right now Dadi is excited for the pregnancy of the Barbie and till she is pregnant Dadi will not saying anything to her. Now eventually Suhani run towards Dadi in the lawn and says sorry to the Dadi now as the Suhani thinks because of her Dadi have to now bear Barbie. And today how Barbie committed a mistake in which she burned the Dadi’s hands. Now Suhani is worry with the rude behaviour of the Barbie towards Dadi and Dadi even can’t say anything to the Barbie as she is being pregnant with the Yuvraaj’s child. Even now Barbie cross her every limit in which she asked to give foot massage by her hands on the Barbie’s legs which keep people engage in doing the argument that now who will wash the clothes and who will going to do the head massage of Barbie. Barbie now smiles to insult the family and then looks at Suhani helplessly. 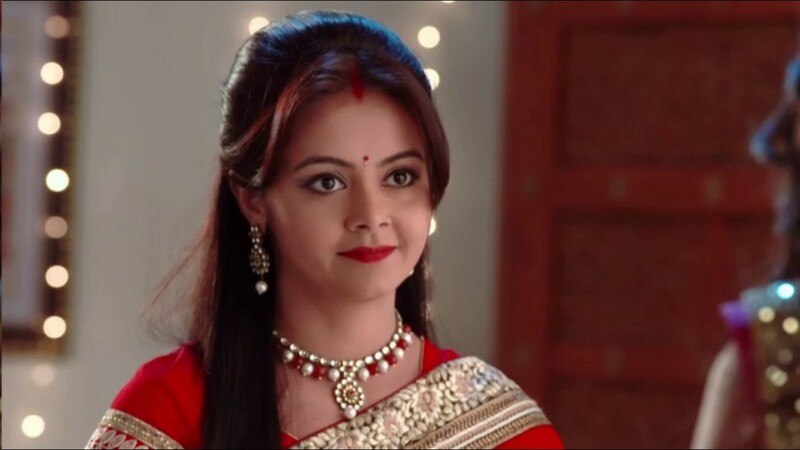 In tonight episode of the daily soap “Suhani Si Ek Ladki” it will be shown that that Suhani and Yuvraaj will argue with each other and they will somehow goes angry with each other. Now it will be interesting to see how Suhani and Yuvraaj will be doing patch-up with each other or whether Barbie will be succeed in driving Suhani out from the Yuvraaj’s life. Don’t forget to catch this interesting episode of the TVs series “Suhani Si Ek Ladki” tonight at the prime time in the popular channel Star Plus!! !